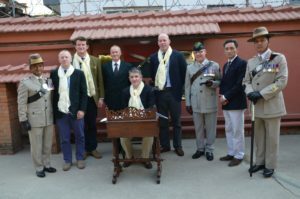 The Brigade of Gurkhas Colonel Commandant, Lieutenant General NAW Pope CBE, Deputy Chief of the General Staff, visited Nepal over the period 6th to 10th February 2017. He was accompanied by his MA, Lieutenant Colonel Nick Thomas, the Army Command Sergeant Major, Warrant Officer Class 1 Glenn Haughton and Colonel Brigade of Gurkhas, Colonel James Robinson. On arrival, he had lunch at the British Embassy with the UK Ambassador, His Excellency Richard Morris and then was received at British Gurkhas Kathmandu by the Chief of Staff, Lieutenant Colonel Vince Young and new Gurkha Major, Major Hemkumar Tamang. 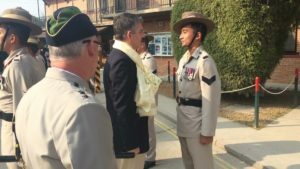 He inspected a Guard of Honour and spoke to the soldiers about the importance of their service in Nepal before signing the Visitors’ Book. 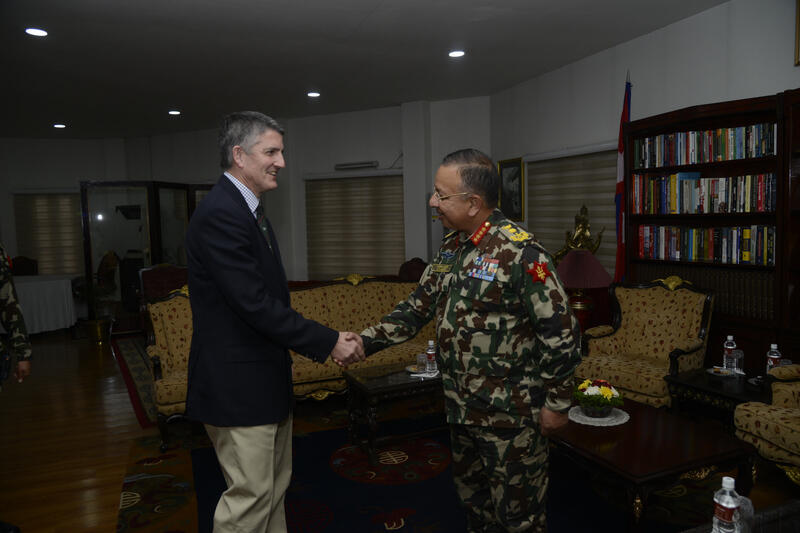 He was then briefed by Commander British Gurkha Nepal (BGN), Colonel Ian Logan, on Nepal issues and, following this, was given a tour of the camp which included a brief on the earthquake response and the British Gurkha Kathmandu (BGK) Operations room set up. 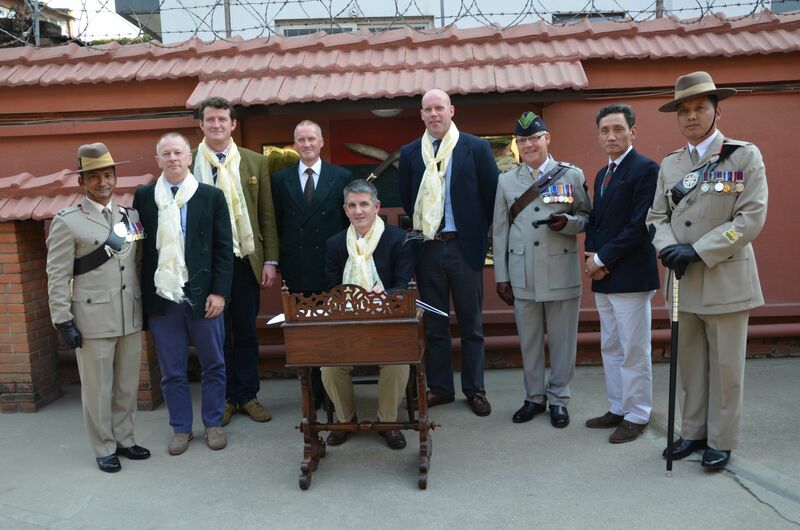 This was followed by a curry supper in the Kathmandu Mess. 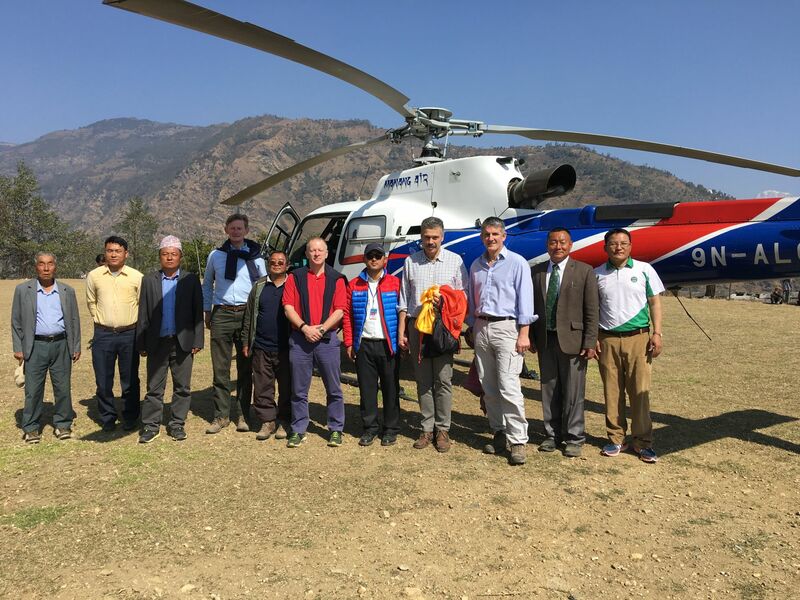 The next day his team toured a number of earthquake reconstruction sites by helicopter providing him the opportunity to gain a bird’s eye view of the reconstruction work, including that of Op MARMAT, and meet some of the people being supported by the Gurkha Welfare Scheme (GWS). 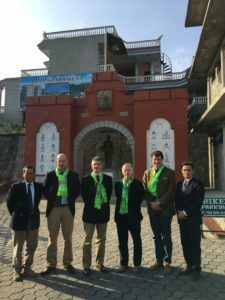 Upon landing in Pokhara he spent time visiting the Kadoorie team to learn more about their contributions before entering the camp at British Gurkhas Pokhara to be briefed on the GWS, recruiting and the Records Office. 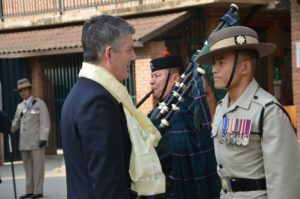 On Thursday 9th February 2017 Lieutenant General Pope took the Attestation Parade where 270 new recruits attested to Her Majesty The Queen and joined the British Army. 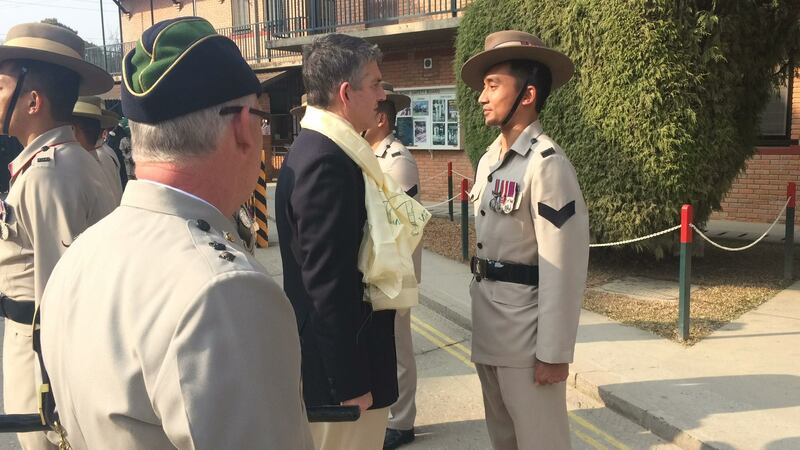 It was a perfect sunny day with a very large crowd of proud families and friends who had mixed emotions – delight and pleasure at seeing their relatives success but sadness at knowing they would shortly leave for the UK. 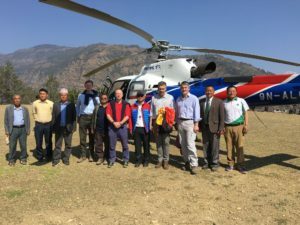 After lunch General Pope flew to Kathmandu and had an office call with the Chief of the Army Staff, Lieutenant General Rajendra Chettri, at which they discussed issues of mutual benefits to both armies.